For every successful story to be written, hard work, passion and dedication needs to be etched on all its pages. And that’s exactly what Amber Locksmith Store did. 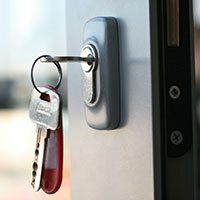 What started off as a small firm that provided basic services has now grown into a multifaceted full-service provider of locksmith services in Albany, CA area – thanks to our quest to continually imbibe, learn and improve. This perseverance has made us Albany, CA community’s first choice for all types of lock installations, key cutting and more. One of our highly requested services is mailbox locks installation. If you don’t want your personal mails to be read or critical documents falling into the wrong hands, then the answer is a YES! Residents or business owners who fail to lock up their mailboxes don’t realize its importance until they find crucial mails missing or stolen. While the world is going digital and has revamped the way we communicate – some things might never change. Vital information still finds its way to you in the time-honored fashion i.e. through mails. This is why; getting mailbox locks installed can go a long way in making sure the contents of your mailbox stay safe from prying hands and eyes. From a pin tumbler lock to a cam lock, there are numerous options to choose from. If your mailbox is prone to heavy use, then it’s better to talk to our locksmith to discuss the various options and opt for sturdy locks with a longer life cycle. This helps you avoid constant replacements. Also, if you run a business, or if your mailbox receives mails that contain sensitive information, you can also consider a high-security lock installation on your mail box to make sure it provides ample resistance against vandalism. You’ve been expecting an interview letter from your dream company for a while now, and when the day finally arrives, you find your mailbox lock tightly jammed. Fret not! 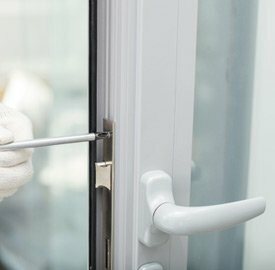 Simply dial our number 510-789-0848, and our locksmiths will have a look and either fix the lock or perform a non-destructive emergency opening. If you’ve lost the key to the lock, we can craft a new key for you onsite. We can also upgrade the locks on your mailbox with new ones if the need arises. Want to get new mailbox locks installed or get the existing ones repaired? For all this and a lot more in Albany, CA area, call Amber Locksmith Store!